Rideau sheep are one of three Canadian breeds. Their development began in 1968 at Agriculture Canada's Animal Research Centre in Ottawa when the Centre's Suffolk, Shropshire, and Dorset sheep were combined with imported breeds: Finnish Landrace and East Friesian. In 1974, the Rideau was closed to the introduction of new genetic material. From 1974 to 1977, the numbers within the breed were multipled with minimal culling to broaden the genetic base. From 1977 to 1986, selection emphasis was on high fertility and the potential for yearround lambing and to a lesser extent retail cut yield. In 1988 and 1989, the breed was released to nucleus flockowners. Since 1989, the breed's popularity has grown rapidly. 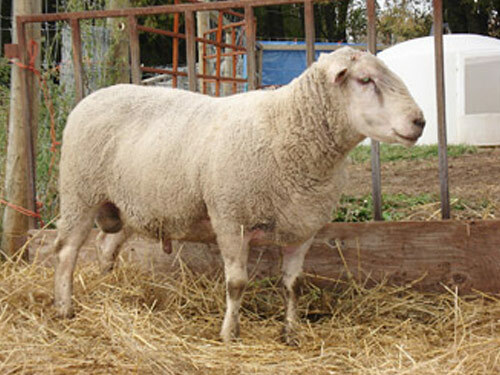 Rideau sheep should be used in commercial flocks to improve the maternal traits within that flock. Approximately 50% of Rideau ewes carry three lambs or more during pregnancy and another 40% carry twins.